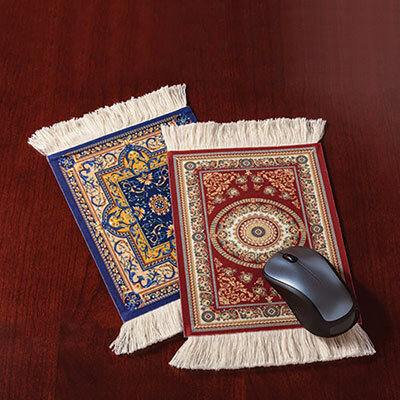 Ornately patterned in a traditional Oriental rug design, this desktop mouse pad brings old-world craftsmanship to the modern office. Foam mouse pad features non-slip backing and sumptuous cream fringe on both ends. Imported. 9"l.